Is your ability to earn an income protected? Disability insurance is very important for everyone to have not just through work but also outside of work. It is not enough to settle with just the benefits you have through your employer. Many people I’ve sat down with usually have some sort of employee benefits through their work. Most companies provide short-term disability and long-term disability. You have probably signed up for it at work at some point in your career, but do you know the details of what it is and when you can actually claim it? Maybe you do, maybe you don’t. If you’re ever unsure about your benefits, talk to your human resources department and I’m sure someone will have detailed information for you about your benefits program. Most companies provide disability insurance for their employees so why isn’t it enough? Worker’s Compensation only provides benefits for injury or illness that occurs ON the job. What if you become sick or hurt outside of work? Company group disability income insurance programs usually have too many restrictions and very few options or choices when choosing your benefits. It costs a lot less to get them through work because the employer is paying for part of the coverage; but you the employee get taxed on your disability paycheck if you do become disabled. (Unless otherwise stated in your employee benefits handbook) Most employers can cover up to 60% of their employee’s paycheck but then it’s taxed so in all reality, you’re only getting about 50% of your paycheck. How would you feel about only getting half of your paycheck if you were to become disabled right now? Most people would agree that receiving only half of their paycheck is not enough to live off of. 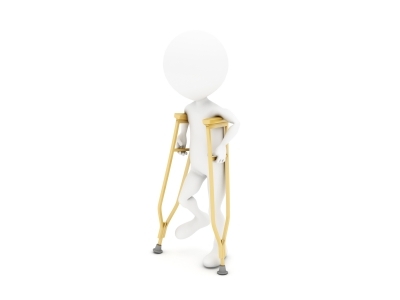 The limitations in a company’s disability plan will hinder your income protection needs in the event of a disability. So what can we do to increase that coverage? 1. Outside companies can usually cover up to 80% of your paycheck instead of just the 60% from the employer. 2. If you leave the company, none of your benefits follow you. It’s very important to know ahead of time what your plan is if uncontrollable factors happen such as getting laid off, getting fired, quitting, or you just had a change of heart and you want to move onto something better. Well, as an employee who gets really good benefits from a company, once you leave, you’re back to square one if you don’t get any outside coverage. Most people change jobs more than three times in their lifetime so if it was me in that scenario, I would not want to have to stay with a company just because of their good benefits. Unfortunately, I’ve met with people who are stuck working at their job because that’s the only way they can get insurance. Don’t let that be you. Get disability insurance while you are still healthy and fit. If you are expecting your income to grow over the long-term, the disability policy you start off with can be tweaked to cover the difference in income if you were to become disabled. I certainly recommend seeking out a trusted financial expert and ask them more about the details about disability. Having an individual disability income insurance policy has the advantages of fitting your specific individual needs. Of course, no company (as far as I’m aware of) can cover you up to 100% of your income in the event of a disability. If that were the case, everyone would be intentionally getting sick or injured just to receive disability paychecks. Insurance companies definitely would not allow that. You are three times more likely to become disabled than die before you reach age 65. Our high-income earning years are still ahead for the most of us. Protecting your ability to earn an income is important if you want to be sure to maintain the lifestyle you have. It’s easy to think we are invincible in our younger years but reality and statistics have proven otherwise. Don’t risk your retirement and investment plans on whether or not you will become sick or injured and unable to work.